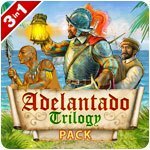 Adelantado Trilogy Pack Game - Download and Play Free Version! Storyline of Adelantado begins in Spain during the Age of Discovery. The Queen summons a brave and noble officer Don Diego De Leon. She tells him about an expedition that was sent overseas to find gold for the crown. For a while there was no news from the adventurers. The Queen grants Diego a title of Adelantado - a governor and caretaker of the new lands. 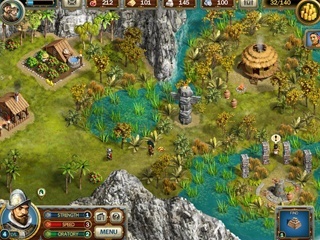 He is given a mission to find and if possible save the lost expedition as well as collect the so much needed gold. One of the Queen's ministers knowing of Adelantado's mission wants all the fame and glory for himself. He hires a thug named Pablo Rodrigez to complete the mission first. The story of Adelantado continues in Book Two - get ready for new adventures and unexpected twists! The sequel starts where the previous part left off. Don Diego has found a new path and now he continues his mission. There are still survivors from the previous expedition to save, glory to achieve and gold for the Spanish Crown to find. His crew, however, is tired. Some people start to rebel and abandon Don Diego. Some stay loyal. Together they advance through wild jungles and endless swamps. The atmosphere is moody and grim but Don Diego tries to keep everybody cheerful. And ever-present rival Commander Rodriquez is more evil than ever. New features, new quests, improved graphics and super-exciting gameplay await you! 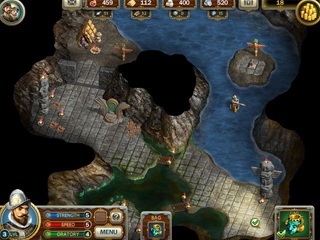 Help Adelantado discover new lands and save the survivors! Make friends with Indians and help them!